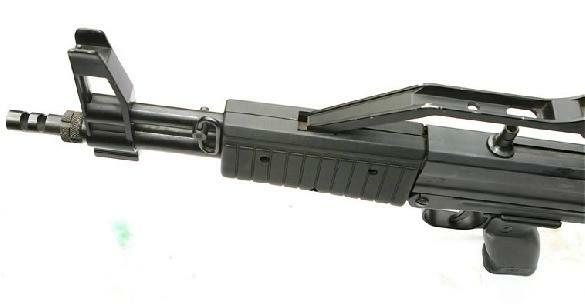 The AGMi carbine (or AGM-1, according to the sources) started its life in the mid-'80s in Italy. 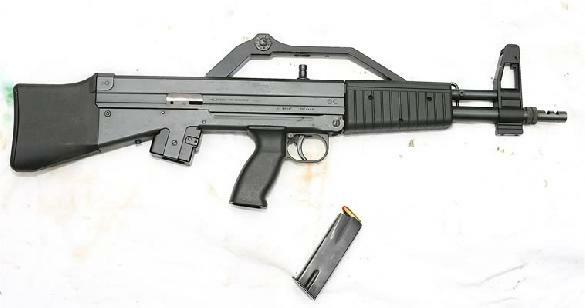 It was first developed as a selective-fire submachinegun for police and military forces, then was developed as a selfloading-only carbine. The task, in fact, was to throw on the Military market a reliable Bull-Pup submachinegun, and provide the Law Enforcement with a selfloading carbine chambered for normal pistol calibers, and able to take regulation pistols magazines. This should have helped in magazines and ammo supply; also, this, in the mind of the engineers, would have prevented accidents which can occur with selective-fire weapons, such as accidental discharges and/or accidental hitting of bystanders (I don't agree, Italian police forces always had, and have, submachineguns, and no similar accident of any importance has ever occurred). The weapon was made in .9x19mm-Parabellum and .45-ACP for export and for Military/LE market, in .9x21mm-IMI and .45-HP for the Italian civilian market (the .45-HP is an Italian-made hybrid cartridge, until the year 2000 the standard .45-ACP cartridge was forbidden to use by civilians in Italy, now it is allowed), and in .40-S&W. The production stood for a very short time. 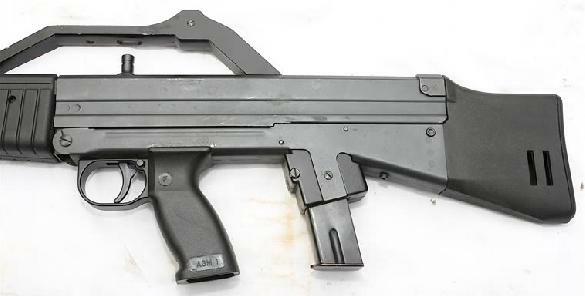 The weapon is very rare, now Algimec is just an importer (they import STEYR products in Italy), plus the weapon got banned in the 1994 and previous US bans, and an American version (the Talon MK-1) was made of it, with no Bull-Pup design, the magazine inserted in the pistol grip, and with a thumbhole stock.